I meet Jhumpa Lahiri in Brooklyn on a hot, blue morning in August. Such is her reputation for reserve that I’m expecting a Bengali Garbo—or at least the woman from her author photo, with hair pulled back severely; wary, light eyes; arms shielding her body. Standing at the doorstep of her brownstone, I feel briefly ashamed in my mission, like I’ve been deployed to divest a turtle of its shell. But she greets me in a sundress and sandals, her hair loose on her shoulders. At 46, she has a tense, tawny beauty, with a formality that falls away almost immediately. Her home is warm and bright, and we chat in a busy room full of books about Italian architecture and children’s toys that look vaguely medieval in function. Her 11-year-old son, Octavio, finishes breakfast at the table and her daughter, nine-year-old Noor, lolls on the sofa next to me, playing a game on her iPad. We’ve barely been talking for 20 minutes when the doorbell rings. Her publisher has sent over a package (addressed to “JHUNPA LAHIN”) containing the first proof copies of The Lowland. The jacket is white, the title a chocolate slant, almost the color of dried blood. “What do you think?” she asks her daughter. Turning the book over in her hands, Lahiri catches sight of the praise, the blurbs, the bio on the back. “Let’s not look at that,” she says, and I’m not sure if she’s talking to me or to herself. She puts the book down on the coffee table, face up, and doesn’t touch it again. In that same modest, measured way, she discusses the attention her work has received. Since she made her debut in 1999 with Interpreter of Maladies, she’s produced a book every five years or so, each one a critical and popular success. Her first book won the Pulitzer Prize; her second, The Namesake (2003), was made into film directed by Mira Nair. Her third, Unaccustomed Earth (2008), hit number one on The New York Times Bestseller list and was awarded the Frank O’Connor Prize. And The Lowland, out this month, has already been longlisted for the Man Booker Prize. But it was a long road to The Lowland, one that called for nerves above all. The novel is about two brothers: one joins the Naxalites and is killed and the other, living in America, must reckon with his brother’s legacy (and his irresistible widow). It’s based loosely on a true story that Lahiri heard as a child, of two Naxalite brothers who were killed in front of their family in 1971. For over 10 years, she tried writing the scene of the murder; for over 10 years, the story simmered in her, until she felt ready, and even then, she says, “I felt like I was on a tightrope from start to finish.” That’s not surprising, for The Lowland is a somewhat radical departure for Lahiri, a long way from her pointillist miniatures of Cambridge ennui. From the first page, you can see she’s up to something very different. With Lahiri, everything has a way of wending its way back to her parents, and I’m reminded that we cannot choose our obsessions. After Unaccustomed Earth, she says, she felt that she’d come to the end of focusing so specifically on a certain kind of immigrant experience. The Lowland emerged from her hunger to ask different kinds of questions, and indeed, the coming to America aspect of the novel is very much in the background. But what’s also clear is that if Lahiri has moved away from using fiction to fathom her parents, life is teaching her what she wanted to know. Lahiri has been living in Rome for a year now, a city that, she says, shares Calcutta’s relaxed sociability. And she has found that fumbling with a foreign language, struggling with simple things – phone calls, putting her children in school—has helped her see her parents more clearly. Although she admits this confuses her mother a good deal. “She’s like, ‘Why do you have to be so far away from us? If you want to understand us, come over!’” Lahiri says, laughing. Enjoyed reading this feature. I’m currently reading The Lowland – it’s certainly different from her earlier works but as well written. Thank you. This piece was so very well-written! 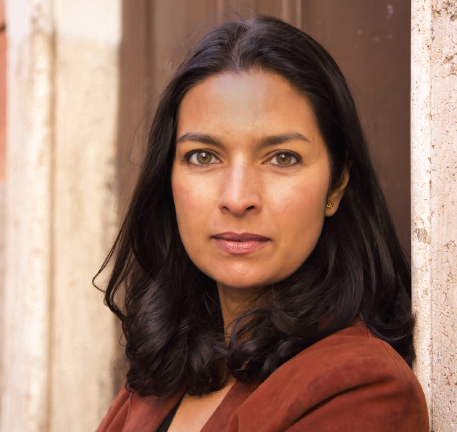 And I love Jhumpa Lahiri. Parul Sehgal , erudite and with original insight to life, reflects adaptation of new immigramts to a different social order, as does Jhumpa Lahiri. As an 83 year old english born Jewish immigrant to Israel ( at age 19 ) I appreciate their awesome achievments. Thank you . Muriel Salant. I’ve binge-watched TV shows, and binge-listened to songs till I started to hate them, but never binge-read a blog until today. You catch details so beautifully, that I have to comment on it. Ms Lahiri, not a favourite of mine, but I do respect her works, seems like such a distinctive individual. Thanks for this!